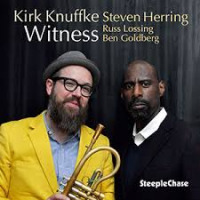 Since moving to New York in 2005 from his native Colorado, the young trumpet player Kirk Knuffke has performed with composer Butch Morris, singer-songwriter Josh Ritter and Downtown drummers Kenny Wollesen and Jeff Davis, among others. Knuffke initially sought out bassist Reuben Radding and drummer Jeff Davis as trio-mates, but a chance encounter with trombonist Brian Drye yielded a quartet. As members of a new generation of Downtown musicians, these four share a conceptual outlook towards jazz improvisation that finds no contradiction between inside and outside playing. The result is sinuous free bop with deep roots in Pre-War swing as well as Post-War innovations. 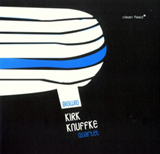 Big Wig is Knuffke's debut album. The record features a dozen tunes in just over an hour (short by jazz standards) yet the quartet packs an abundance of inspired ideas and stellar interplay into each selection. There is an appealing, roughshod feel to the album which provides stark contrast to many over-polished post bop sessions. 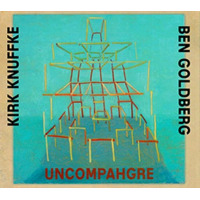 As a former student of Ornette Coleman and an admirer of Steve Lacy (he's a member of Ideal Bread, a Lacy repertory band), Knuffke's inside-outside concepts exude an unfussy, yet tuneful sensibility. His writing encompasses hearty in-the-pocket swing, turbulent collective improvisation and spacey, aleatoric interludes with equal conviction. The rhythm section is top notch; Radding and Davis are two of the finest players of their generation. Their interaction is punchy and aggressive, yet fluid and dynamically varied. 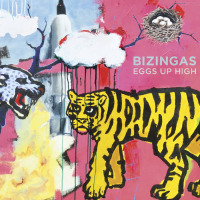 They veer from abstract, ramshackle rhythms peppered with metric modulation and stop-time tempos to sly understated swing with effortless grace. Drye makes an ideal front line foil for Knuffke; together they uncoil brassy unison cadences that blend catchy melodies with pungent growls and smearsdrawing a conceptual line from Cootie Williams to Lester Bowie. While the tunes share a similarity in tone and execution, they offer compelling dialogs and brisk solos that never overstay their welcome. Swaggering with hard-bop muscle and free jazz expressionism, Big Wig is a smart and engaging debut record. Track Listing: Enough; The Same; Sustain1; Something's Always Change; Page 1 # 1; Sustain2; Normal; Charp; Repeat; Is Is; Big Wig; Truck. 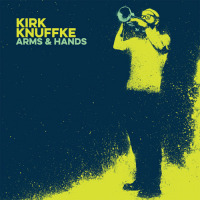 Personnel: Kirk Knuffke: trumpet; Brian Drye: trombone; Reuben Radding: bass; Jeff Davis: drums.